Using the Microsoft Management Console limits many tasks, because as well as having an obsolete interface, many options aren't available. 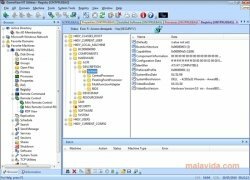 That is why DameWare NT Utilities is a software that is taken into account when it comes to configuring and managing computer networks. DameWare NT Utilities allows you to configure domains, workstations, disk drives and manage event registries, local and global groups, files, printers and processes, to known the software that is installed or the processes that are running... Almost all the options that Microsoft Management Console offers are implemented and improved in this software, turning this software into the main tool when it comes to controlling and managing any server. 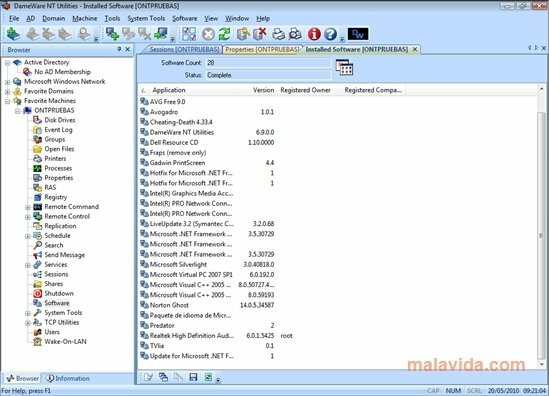 DameWare NT Utilities includes several applications, among which we'll find the small “Mini Remote Control”, a utility that allows us to extract information from any Windows computer that is part of the same network to be able to configure it and manage it remotely. All in all, this software is an application that greatly improves MMC and that should be installed on all computers focused on network administration and terminal management.